Chris Newey of Foodworks has been revitalising our website. The address and login are as before and we will continue to add relevant information for the industry and academia. The new site is meant to be interactive and to encourage participation in discussions. We hope also to continue the fight against non-scientific myths which only serve to confuse the consumer. For many years now the benefits of the traditional Mediterranean diet have been promoted with these benefits attributed to the content of natural antioxidants in the components. A recent study on US fire-fighters showed significant effects on the health of this population who traditionally have been prone to high levels of CVD. 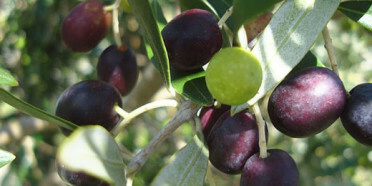 One of the major health components in Extra virgin olive oil is the polyphenol content. These are also the active constituents in olive leaf extract. Concentrated extracts such as Hytolive have been produced as both natural antioxidants and dietary supplements but the take-up by industry has been slow. Mintel have commented that there is still scepticism in scientific circles about the health credentials of antioxidants despite some convincing studies. To gain trust brands need to use compounds with specific benefits that have been backed up by clinical research, also a prerequisite to the new Health Claims legislation. Early this year the palm oil industry crossed an important threshold: A new policy from Golden Agri-Resources (GAR) means that most of the palm oil in the world is going to come from sources that don’t drive deforestation. GAR has long been a significant player in the palm oil industry, and is the second-largest palm oil grower in the world. GAR’s 2010 policy did not apply to the palm oil it traded – which, at the time, was minimal. Over the past year, however, GAR has dramatically expanded its trading operation and now controls about ten percent of global palm oil trade. On a shareholder call on Friday and in a filing posted on the Singapore Stock Exchange, GAR announced that it is extending its landmark Forest Conservation Policy to the palm oil it trades. GAR’s new policy puts them in line with Wilmar International’s “No Deforestation, No Peat, No Exploitation” policy announced December 5. Wilmar controls about 45 percent of global palm oil trade. In the UK oil, produced from the burgeoning yellow fields of rapeseed now dominating the British countryside, is eating into sales of imported olive oil. Sales of rapeseed oil are up by 11.5 per cent across all retailers and 60per cent at Tesco, Britain’s biggest supermarket. The taste benefits are also being recognised for the first time with chefs like Jamie Oliver, who once championed olive oil, now supporting British rapeseed oil. His Union Jacks restaurant chain uses British Farrington’s Mellow Yellow cold pressed rapeseed oil in jars on tables and in the preparation of traditional British meals, ranging from fish and chips to steaks, pies and salads. What a great nutritional example! We mentioned Pure Oil NZ from Rolleston in the last newsletter and another rapeseed producer in the South Island who has been operating for many years is nZeaola™. In the same Canterbury region is Oilseed Extractions who have for years produced a wide range of boutique oils from seed grown in the region by Midland seed. Canola and Rapeseed, Production, Processing and Nutrition, edited by U.Thiyam-Hollander, CRC press. The January issue of Inform magazine had an extremely interesting article on omega-3 PUFA and their use in traumatic brain injuries (TBI) and concussions. The author, who is a graduate in Medicine and also from the US military academy at West Point, discusses the huge problem of neurosurgery on the battlefields in Iraq and Afghanistan and the subsequent treatment of TBI afterwards. Apparently there is no accepted medical treatment currently used neither for these war victims nor for children and young adults who have also incurred head injuries in domestic accidents. Whilst he indicates that the use of fish oil omega-3 looks promising he also cautions that little systematic work has been done outside of the research laboratory. Both of the studies referenced below establish a direct correlation between lipid oxidation and protein degradation and demonstrate quite clearly how measuring only lipid oxidation can grossly underestimate oxidation in complex systems. Evidence suggests that lipid free radicals and hydroperoxides are the most active species damaging proteins during the first few months of shelf life in foods, but the results in the tortilla chips and peanut butter are quite different – peptide cross linking leading to very large molecular complexes of maize proteins in dry fried tortilla chips vs. marked surface modifications, structural reorganization and disassociation of protein sub-units, and protein fragmentation in the emulsions of peanut butter. In both cases, a major consequence of protein co-oxidation was deterioration of food textures, though certainly not by the same mechanisms. Results demonstrate clearly that “one size does not fit all” in protein co-oxidations and that measuring protein changes along with lipid oxidation is critical for accurately assessing the extent of oxidative deterioration in foods. Dong, Y., Protein modifications in baked versus fried tortilla chips, M.S. Thesis, Department of Food Science, Rutgers University, New Brunswick, New Jersey, USA, 2013. Schaich, K.M., Co-oxidations of oxidizing lipids: Reactions with proteins, in Lipid Oxidation Pathways, Vol. 2, edited by A. Kamal-Eldin and D. Min, AOCS Press, Urbana, Illinois, USA, 2008, pp. 183–274. Wanibadullah, W., Lipid-protein interactions in peanut butter, Ph.D. dissertation, Department of Food Science, Rutgers University, New Brunswick, New Jersey, USA, 2013. Author Karen Schaich also contributed two chapters in the AOCS Press title, Lipid Oxidation: Challenges in Food Systems. Learn more about this title by reading the book review in the last issue by Laurence Eyres, a consultant with Food Inc. in Auckland, New Zealand.